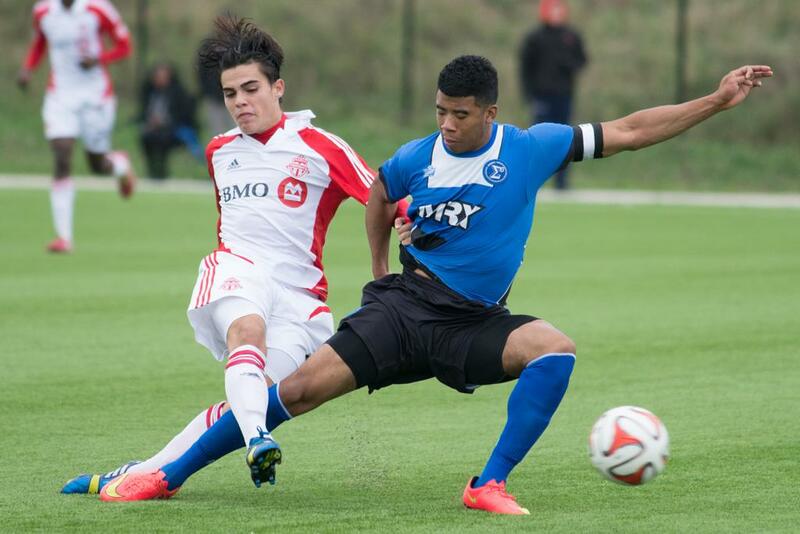 TFC Academy entered Saturday’s rescheduled L1 Cup semi-final at Kia Training Ground flying high, having clinched the inaugural League1 Ontario Championship on October 4 and hungry to add another trophy to their cabinet by taking home the L1 Cup title as well. 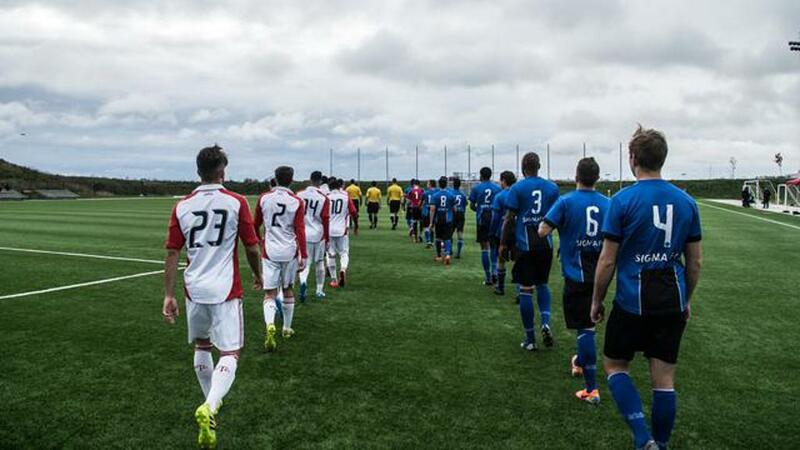 Sigma FC had other ideas, however, and dominated their hosts from start to finish, running away with a 4-1 victory and booking themselves a spot in Sunday’s L1 Cup Final at BMO Field in Toronto. Sigma opened the scoring early, with Johnny Grant taking advantage of indecision between TFC goalkeeper Filippo Di Bennardo and his defenders on a ball floated into the TFC eighteen-yard box. Grant pounced quickly on that error and slotted home a shot from ten yards out that and put his team ahead in the fourth minute of play. In the thirty-third minute, Sigma’s Jordan Pereira delivered a good pass to Emery Welshman on the right, who in turn found Marcel Zajac unmarked for an re-direct from inside the six yard box to make it a 2-0 lead for the visitors. Just four minutes later, Welshman found the back of the net himself on a shot from about twelve yards out that Di Bennardo couldn’t stop. It was now 3-0 and Sigma was firmly in control. 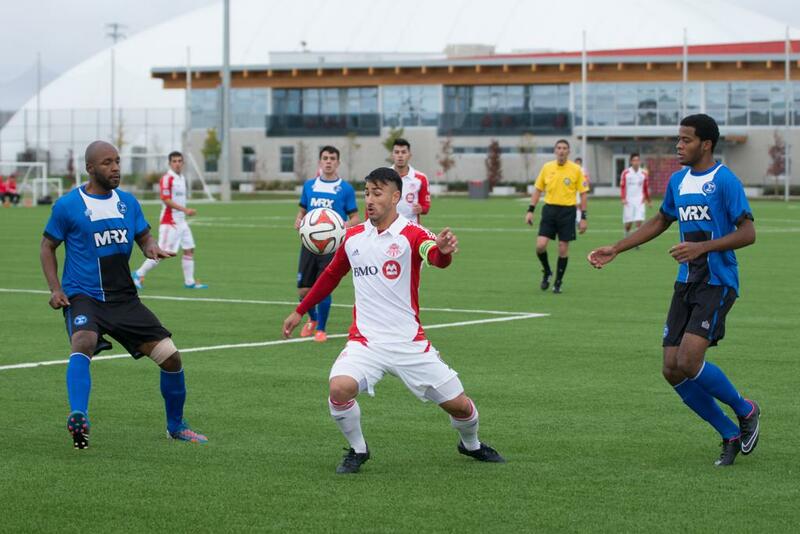 Before half, League1 Ontario leading scorer Molham Babouli scored his twenty-sixth goal of the season, with a lovely strike from fifteen yards out that pulled TFC Academy within two goals at 3-1 and gave the home side some hope going into the break. However, Sigma continued to control most of the play in the second half and salted this match away in the seventy-fifth minute when Luca McLean soared to get his head on a Pereira corner kick, which struck the underside of the cross bar and crossed the goal line to make it 4-1. 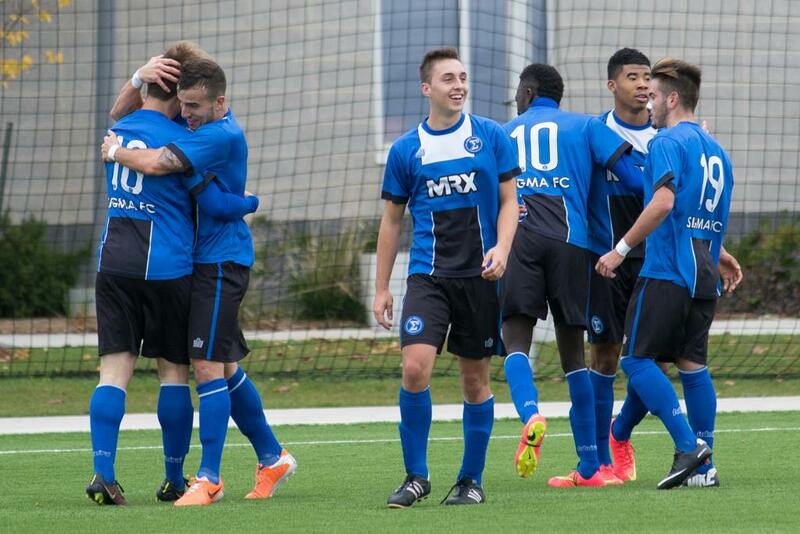 As his team celebrated their big win, Sigma FC head coach Bob Smyrniotis commended his team’s professional performance, especially considering the cold and windy conditions. Smyrniotis was concerned about the condition of defenders Tevin Wynter and Nolan Holdridge, both of whom picked up fairly serious looking knocks in the first half of the match. 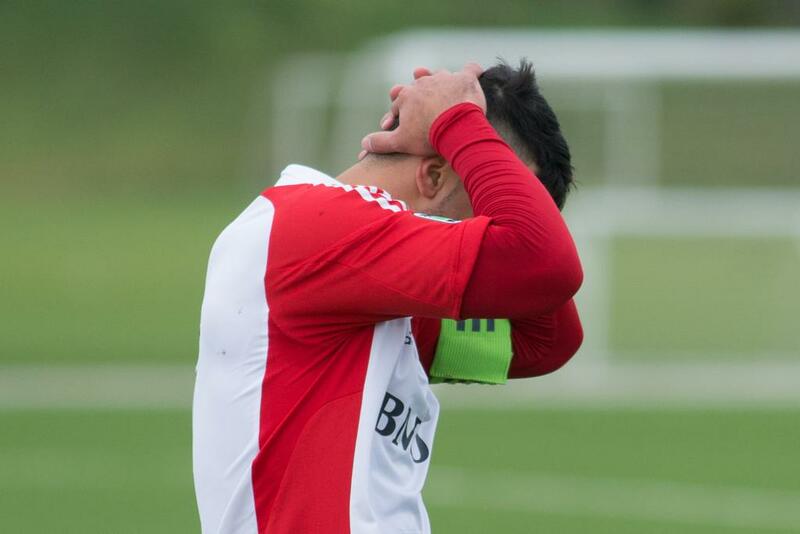 TFC Academy head coach Michael Stefano was disappointed with the result, his team’s first defeat of the season. "We've been consistent all year long but we simply didn’t have our normal energy today," said Stefano.